The holiday season is quickly approaching and workers at Indiana’s historic French Lick and West Baden Resorts are busy preparing for their annual Christmas celebration. The Polar Express train is already in service, taking families on a train ride to the North Pole. 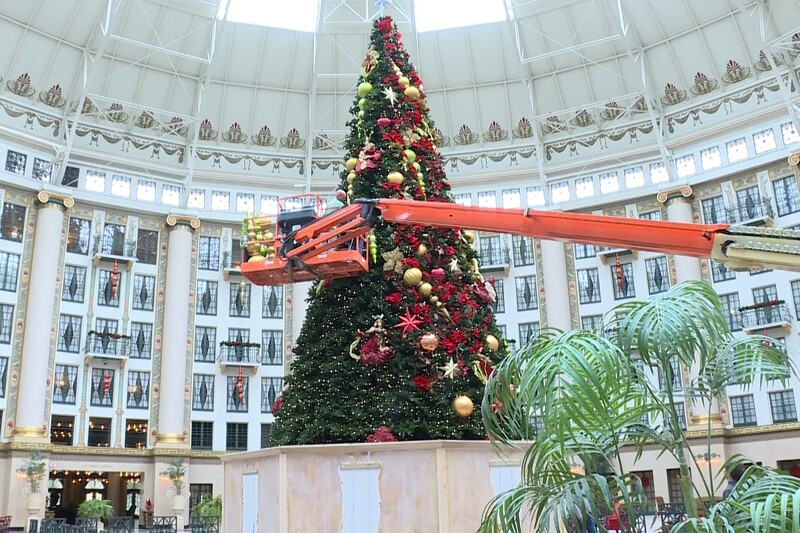 And crews are putting the final touches on a towering tree in the atrium of the West Baden Hotel. Resort marketing manager Steve Rondinaro says it’ll be done in time for the tree lighting Saturday at 7:00 p.m.
Rondinaro says they’re also excited to debut a new holiday light show this year that will project on the front of the French Lick Hotel. He says the projection will depict holiday themed images and a local "Christmas Story".